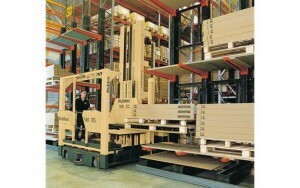 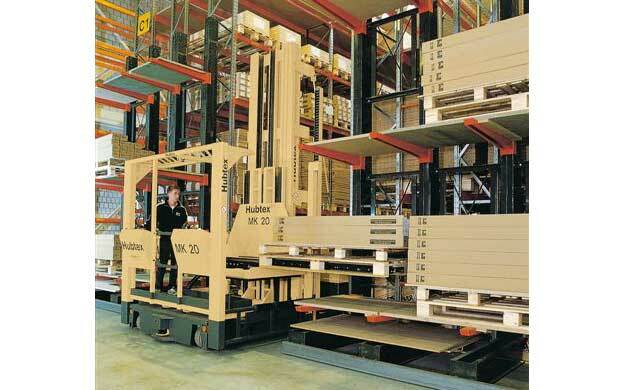 The function of the model MK is the warehousing and order picking of doors and frames in pallet racks. 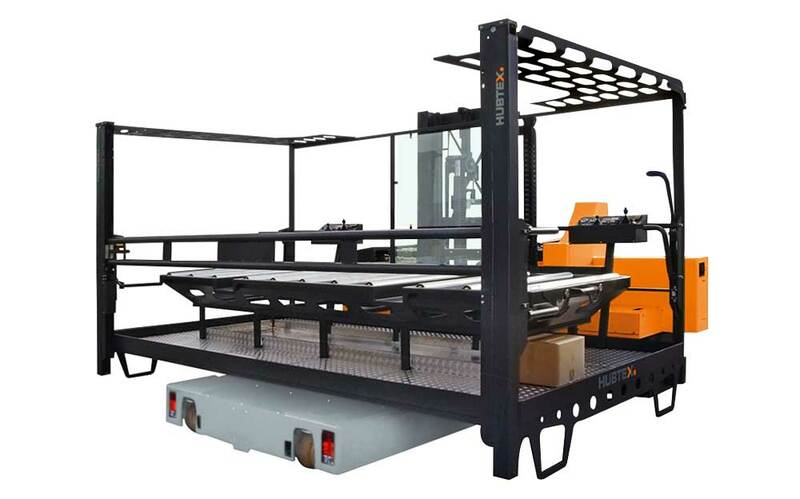 This order picking platform is a classic Electric Multidirectional Sideloader for the warehousing of complete packs and, with man up cabin, for picking individual customer orders. 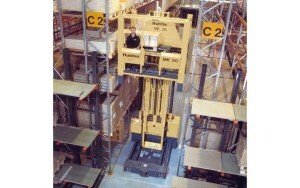 The model MK has a fixed mast. 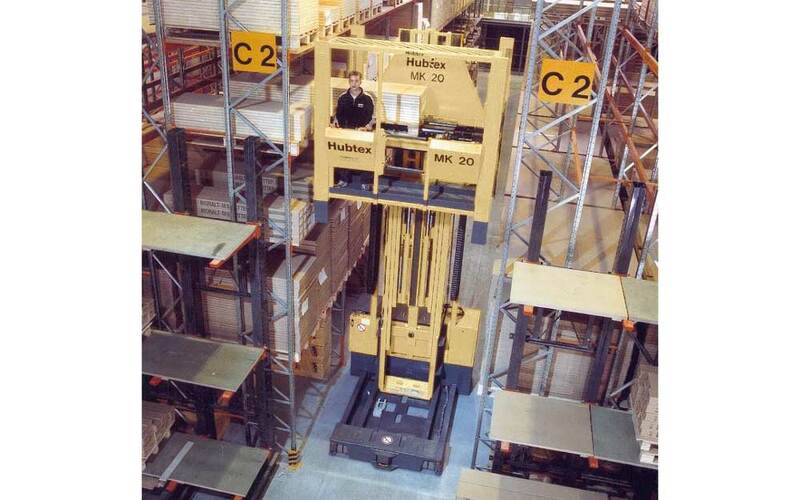 A lifting device for lifting and lowering the load to an ergonomic working height as well as telescopic forks for placing whole door packs into stock and removing them from stock are optionally available. Product can be taken out of the rack from both sides of the rack quickly & easily.